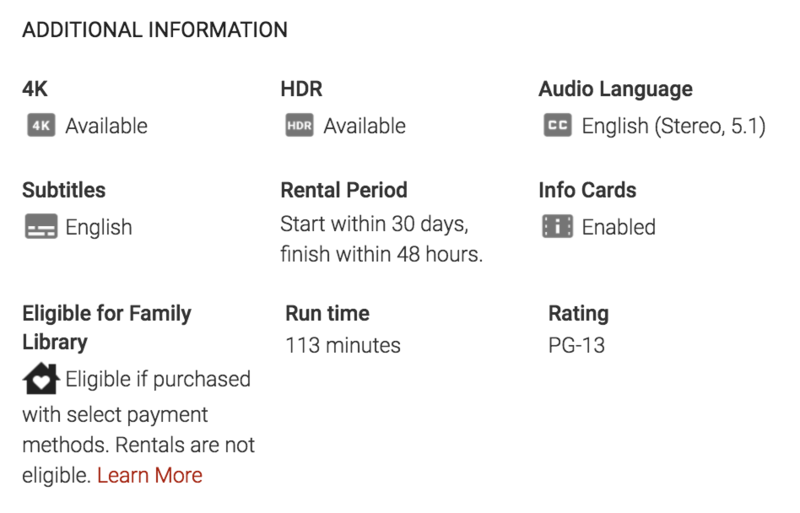 Google Play started offering Digital UHD movies last December, and now some of those 4k titles include support for HDR. For now though, the 4k HDR titles can only be played back on the Chromecast Ultra streaming stick. Upon launch there are 42 movies with the HDR specification such as Live Die Repeat, Pacific Rim,, Fantastic Beasts and Where to Find Them, and The Da Vinci Code trilogy (they also list Suicide Squad in the same grouping but it looks like it’s only available in Full HD). View our updated list of 4k titles on Google Play that now includes HDR. What type of HDR do you get on Google Play? Although Chromecast Ultra supports both HDR10 and Dolby Vision out of the box, it’s not clear which format the Digital UHD movies are encoded with. See the screenshot below that just indicates “HDR” availability. Like Vudu, Google’s Digital UHD movies are fairly expensive at $29.99 each (a few movies including Ghostbusters and The Smurfs are slightly less at $24.99 each). Still though, it’s hard to plunk down $30 bucks for a digital movie when you can potentially get the packaged Ultra HD Blu-ray edition for equal or less amount. Here’s Google’s newly-added verbiage about HDR. Certain videos that you purchase in 4K UHD may also be compatible with High Dynamic Range (HDR) playback. HDR allows for images with a wider range of brightness and color. You will automatically receive HDR quality if both the 4K UHD title you have purchased and your TV support HDR. 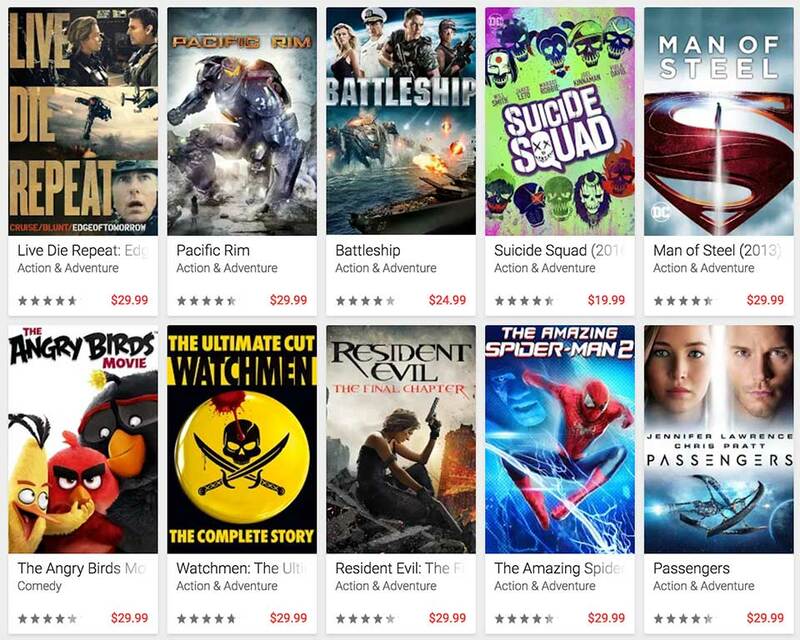 For now, the HDR titles on Google Play are only accessible in the US and Canada. Next Next post: Does the PlayStation 5 Need to be Backward Compatible?